I had the enormous pleasure of creating illustrations for a collab between the legendary Wu-Tang Clan and the festival The Breaks of Chicago. 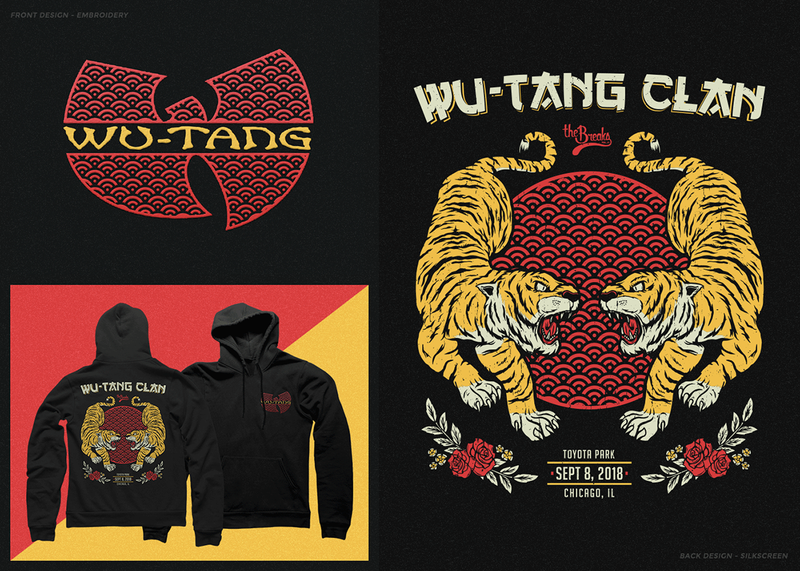 This small collection consists of a hoodie with an oriental tiger print on the back and a embroidered Wu-Tang logo on the front and a t-shirt with reference to the city of Chicago where the festival took place. 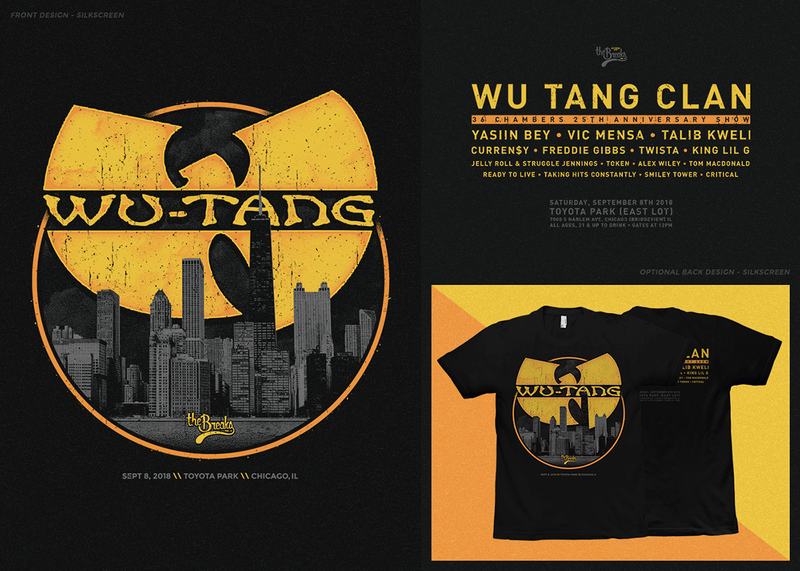 I had the enormous pleasure of creating illustrations for the collab between the legendary Wu-Tang Clan group and the festival The Breaks of Chicago.